Structures such as Parque das Nações, Portugal Pavilion, Altice Arena or Oceanário were non-existent... There were not so many other structures nor an area that invites to walk next to Tagus. After dreaming it, and a total urban makeover of that area of its capital, Portugal presented the Expo'98, which was visited by more than ten million people. For nearly four months, Expo'98 welcomed countries and entities and showed the world the Portuguese capacity to organise major events; provided visitors with street entertainment, music, art, cable car rides, knowledge, culture; altered the dynamics of a city, even the country, which has gained more life and more equipment that has since then adapted to the city's needs and which are useful and of reference still today. The oceans were Expo'98's motto. And water was once again a main topic twenty years later in the celebrations that took place from May 25th to June 2nd; in a party organised by the Tourism Association of Lisbon and the Lisbon City Council, and whose design and production was by Eventors'Lab. Remembering the past and looking at the present, the celebrations were marked by a multimedia show - where images that accompanied Mário Augusto's words said by Eduardo Rêgo were projected on a water screen - and the return of the Olharapos to Parque das Nações. To Event Point, Eventors'Lab's Director, Ana Fernandes, explained the main concerns in the production of this event. "Expo'98 was undoubtedly a defining moment in our recent history. Not only in the paradigm shift of the city of Lisbon, but especially in affirming Portugal as a country of the world, proud of itself, with organisation and concretisation capacity. These celebrations could not frustrate any expectations, despite the scarce resources, the time we had to prepare them and the aftermath of Eurovision (a new national challenge on a planetary scale). So we decided to focus on what was essential: to take up the water theme, which guided the whole course of Expo, and concentrate the action in one of the buildings that symbolise the beauty, capacity and challenge of this project: the Portugal Pavilion." Eventors'Lab focused on the "memory of the essential." Remembering the intense months of the Exhibition is also remembering the Olharapos - and nine were recovered by Jorge Gameiro, so that it was possible to revive and pass on the experience to the new generations - and the anthem "Pangea", by Nuno Rebelo. "It's amazing how, after 20 years, this song continues to be a symbol able to arouse emotions." To Ana Fernandes, "the more than 55 thousand visitors, throughout the nine evenings of the event, prove that Expo'98 continues to be a reference." And "more than the applause we heard at the end of each show, matter the stories shared with us, the tears of longing for moments lived and the promise that they will return to this place of leisure and socialising at each call." Event Point also heard some opinions from people who worked on the event, to get to know stories and challenges and to realise how Expo'98 changed the events' sector in Portugal. What did you do at Expo'98? I coordinated Expo's Information Services, that is, we gathered information from all the demonstrations that happened every day - on average, some 200 to 250 demonstrations - and formed a kind of work plan. It was a key guide for the management team to know what was going to happen. What were the major challenges of working on this event? First, setting up a speedy communications system. There was no built-in information system - we had phones, email, but there was no platform where every service recorded everything it had to do and what was going to change. But we came up with a format. The team was very dedicated and competent and we managed to do this every day. What did Expo'98 mean to your career? It was a big change. I was convinced that my life would continue in advertising, but it wasn't quite so. Thus, it was an opportunity. And it allowed me to go to João Lagos [Sports] - by the way, the things I did in events started there. It was a turning point, a turning point in my career. What did Expo'98 do for the events' sector in Portugal? Expo'98 confirmed our ability to plan, organise, perform well, with quality and high level. We were convinced we could not do it. And the truth is that not only did we do it, but we did it with great level and quality. It provided Lisbon with infrastructure it did not have, as Pavilhão Atlântico, now Altice Arena. It actually created a segment of activity: events. There was no professional awareness - events are a professional class. And from there it was possible to do other things: the Dakar in Portugal and Euro 2004 were possible because there had been Expo'98. Expo was, let's say, the litmus test of our organisational capacity on a planetary scale. I was APECATE [Portuguese Association of Congresses, Tourism Animation and Events Companies of Portugal]'s President and I've always said that the Portuguese do events like no one else. Is there a story you would like to share with us? We spent so many hours on the computer that I had a problem with my eye. I was at risk going blind from so many hours that I looked at those screens. And I fell asleep on the floor. If there was a problem, we would easily spend there the night. But of course it was worth it. We are very proud, it's an important brand. Between 1996 and 1998 I was in the Marketing Department of Parque Expo'98, in the concession and management of sports sponsorship and sport activities' programming for the period of the World Exhibition. In 1998 I went to the Utopia Pavilion, now Altice Arena, where, after a period as an assistant, I assumed the role of Visitor Chief, being responsible for the visitors operation in the pavilion during the event. Being able to work on such an ambitious project on so many levels, from urban transformation to cultural, economic and social impact, was an extraordinary opportunity. The biggest challenge was the ability to coordinate. Conciliating deadlines and orchestrating all the activity before and during the Exhibition period was a monumental task, completed with the greatest success by a truly extraordinary team. Expo'98 was a very rich experience. The privilege of collaborating with so many talented professionals is something that leaves a mark. I have always highly valued the opportunities to integrate truly multidisciplinary projects where the various components are of equal weight and relevance and where teamwork is a key factor. I had already had the chance to participate in the Belém Cultural Centre kick-off and I knew that the Expo'98 experience would be another transformative project for me personally, but also for the country. The Expo'98 had a huge impact on several levels, since the development of crucial equipment to bringing to Portugal events that until then did not even consider our country, mainly due to the restrictions of capacity of the existing venues, to better train professionals in diverse technical and creative areas, as well as developping new concepts of events, more comprehensive, more integrated and, above all, more sophisticated. This Exhibition was the best promotional campaign of all these skills that Portugal could pull off. I had several unforgettable moments: from starting our team in the pavilion to the famous "Mexican wave" that the assistants organised with the public while they waited for the pavilion to fill and the show to begin, the questions visitors asked the assistants while they were in the queues, some medical emergencies - mainly the two very serious ones during Expo's last evening, that we were able to evacuate successfully from a totally crowded venue. The entire Expo'98 was a very remarkable human experience and the Pavilion of Utopia translated into 132 days, with 534 shows seen by 3,286,386 people! Consultant and supplier of audiovisual equipment solutions. It was a great challenge since it was the first major event of its kind in Portugal, given the limitations that audiovisual equipment had had for 20 years. It was a very important moment that helped to leverage our business and the entire audiovisual area, both because of the amount of equipment we had to acquire and the venues that remained after Expo'98 (Altice Arena, FIL, Teatro Camões, Lisbon Casino). It also allowed me to participate in a huge challenge for Portugal, which turned out to be very successful. Everything I have already mentioned has revolutionised the market and the audiovisual solutions, having also left venues of indisputable quality, besides having placed the country in the route of major international events for the capacity revealed by national operators. On the day of the rehearsal, the queues and confusion were such that our technicians could not reach the more than 40 pavilions we were involved in, causing that normal stress on customers. But in the end everything went for the best as we got used to it. Expo'98's inauguration date and the concert by Teresa Salgueiro & José Carreras, in which we also participated, would be the most remarkable moment that I would choose. I worked in the Public Relations Department, where I had the responsibility to organise and accompany High Entities, delegations and opinion leaders to the Intervention Zone and to Expo'98 precinct. In addition, I had the responsibility of organising the Sponsors' Days of Honour and supporting the Administrator's Office, Mega Ferreira, in National Days. We were making history, not only because of this project's size and complexity, but also because of its impact on society. All eyes were on us and the pressure was enormous. Every day we were scrutinised by the enormous investment the Government was making in this project. I believe that nobody doubts that the bet was the right one and that the results were in sight. I joined Expo'98 in January 1997, at the age of 19. At the time I was both working and studying (not so much) Communication Sciences. I often say that I missed a college year, but I gained a lot of experience during that period. It also allowed me to have a base of contacts that proved to be essential in the development of my professional career after the Exhibition. I believe it had a major impact on three distinct levels: on people who were involved in its organisation and the different service providers because it brought more know-how and experience to these human resources; on companies, since they necessarily had to invest both in human and technical resources, and became better prepared for the after-Expo challenges; and on the country and the city, as from Expo'98 we started to host bigger events that put our destination on the map. This effect is notorious in the great events that Portugal started to receive and in which it demonstrated its ability to organise them with high quality standards, as prove the MTV European Awards, Euro 2004, NATO Summit, Champions League Final, Pope visit, Web Summit and, more recently, Eurovision, among others. I believe that the 30th September, the closing date, was special. Public Relations on that day had a responsibility to accompany the High Entities to the waterfront for the closing show. When the fire ended, in a completely spontaneous act, all the colleagues who were there began to cry of emotion, a little to the entourage's surprise. It was an unforgettable moment. I was Parque Expo 98's Director of Communication and Image and spokesman for its Board of Directors. During the Exhibition, I was also the director of its Media Centre, which received 11,000 journalists throughout the exhibition, and in addition I was part of an editorial team (Agência Expo) that produced news in four languages, also managing Diário da Expo (in a partnership with Diário de Notícias), TeleExpo (in collaboration with RTP) and Rádio Expo (with RDP and Rádio Renascença). After 1998, I was Marketing and Communication Director for the company and non-Executive Director at Atlântico - Pavilhão Multiusos de Lisboa SA. I was connected to this project since its beginnings (1993) until 2004, with the realisation of its urban project. To direct the communication of a very complex and challenging project, about which few had certainties and many had doubts about its quality and practical execution (both at home and abroad). I was involved in the promotion of the Exhibition and the urban project associated with it, in order to show the Portuguese capacity to carry out a fascinating work that would not be limited to a great celebration of the Oceans, but at the same time, an extraordinary rehabilitation program of an area of the city with enormous potential but that had been forgotten and abandoned. 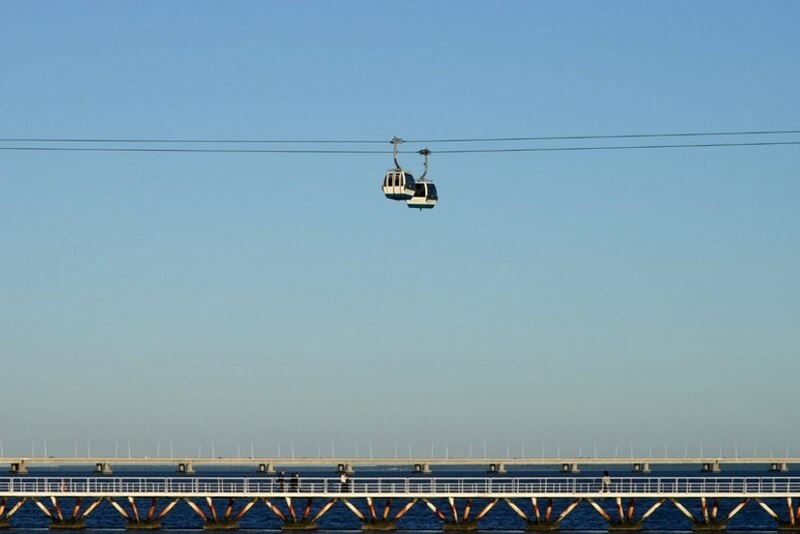 We wanted to do all this with great openness and transparency, inviting national and foreign journalists to visit the site even during the works, at the same time publicising the event and letting them know the dimension of a project that extended along five kilometres of the river Tagus in a 330 hectares area. The balance could not be more positive: Expo'98 was the one that had the largest international participation (160 countries and organisations), visited by dozens of Heads of state and government, registering more than 10 million visitors (half Portuguese) and achieving great success as a new multi-functional urban zone (housing, commerce, offices, recreation areas and green areas) which, 20 years later, is still very lively and vibrant. A unique, unrepeatable challenge. A privilege. At the same time, the possibility of having a live training in architecture, design, construction, marine biology, diplomacy, real estate - and, covering all this, an extraordinary experience as a communicator and spokesperson. Expo'98 was "the" event. When we are talking about 9,000 singular or permanent shows or an exceptional amount of exhibit content from various countries, it can be said that in Portugal there is a before and after Expo'98 in the events' sector. Nothing was ever the same. When we see our country today full of tourists or entertainment, or we see Lisbon and other cities regenerate so deeply, we can not stop thinking about 1998 and this idea of men like António Mega Ferreira, who knew how to dream. Expo's example is today reflected all over the country, both in entertainment and urban rehabilitation. I would highlight two. During the general rehearsal, on 9th May 1998, when, after so many efforts, it was possible to conclude in a real context that everything was working and ready to open. We all breathed a sigh of relief. The other was the closing day, in which 400,000 people celebrated with emotions running high the joy and pride of a country open to the world and able to put its dreams into practice.